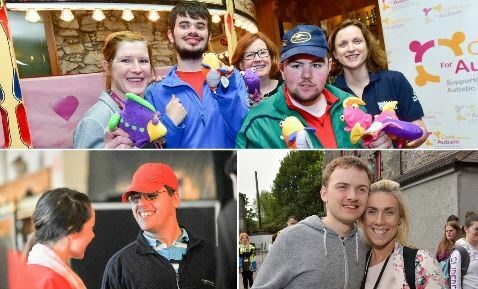 Our respite care programme provides short-term breaks for 25 individuals affected by Autism Spectrum Disorder from Crobally House in Mogeely, East Cork. This large five bed-roomed property is placed amongst extensive, beautiful landscaped gardens. This service offers invaluable supports as it offers a break to both the service users and care givers. We aim to provide a safe and comfortable environment where each individuals’ needs are supported. The CAA works closely with families and caregivers to provide a person centered respite service, where the needs of each individual service user are understood and catered for. The ethos of the CAA’s respite supports is based on a ‘A home away from home’ approach. The emphasis within our respite service is on recreational activities and the development of daily living skills. Some activities that are availed of by Service Users availing of the Respite Facility include swimming, visits to the cinema and theater, picnics and walks. Activity plans include both community and in house entertainments and are tailored to meet the needs and preferences of each individual. All applications to the CAA respite service should be made to our Barryscourt Office in Carrigtwohill. For more information please email info@corkautism.ie.